Mike Pottach received two awards. The Patrick Hodgins Award for long-time exemplary service. And the CFU award for delivering two hot dogs to a vendor(minus the meat) at the Train Show. Ruth Lebowich was the COD. 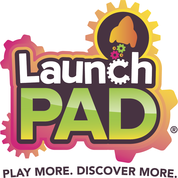 Carrie Lebowich of the Sioux City Children's Museum, the Launchpad presented the details of the challenges and successes of the Launchpad. Mat Chilton has achieved membership in the Million Dollar Round Table - The Premier Association of Financial Professionals (Sioux City Journal, 24 March 2019, page E3). Mat was also fined for failing to insure that the Sioux City Cosmopolitan Club was mentioned in the Journal article. Curt Stoever has returned to his home, recovering from a fall. John Koskovich reported the details of the Train Show. He emphasized that the weather caused lower attendance. He was pleased with the committee's decision to give a discount to vendors committing early. Mike Potash asked members to begin to get sponsors for the upcoming "Shoot for a Cure" Golf Outing.